When it comes to video games, one of the most popular genres happens to be horror. It’s actually kind of interesting to see people buy these games when they used to always lag behind other major titles. It used to be the case that unless a horror game was made by a AAA publisher, you rarely heard of them. Today, things have changed, and the horror/monster franchises are some of the most popular in gaming. One that stands out among most is zombie games, and that’s because it’s one of our favorites here at Nerd Much?. Technically, we don’t know because the definition changes all the time. However, there are both traditional and untraditional versions. The way we define them traditionally is any that involve a virus or infection that changes people or dead coming back to life. This tends to cover most versions. However, the untraditional involves things like dead people being under the control of someone else. This may also have to do with another creature taking over a body, and things like this. We know, it’s insane. This is why we didn’t like calling it traditional. It is safe to say that games like this are rarely made these days. We don’t mean zombie games that require you to kill mindless zeds — this list proves that genre is alive and well. We mean games that you do nothing but kill zombies and try to survive. It’s really rare because most games tend to deliver a compelling storyline that will keep you engaged or some other element hook. Yet the creators of Zombie Killing Simulator, Meka Games, seemed to make their upcoming zombie killing game like FIFA or Madden: it’s like a sport to kill zombies. Meka Games is an indie game studio quite literally made by ONE man. It has taken him years to perfect his game, but he’s made it into quite a unique concept. The art for the game will not wow you by any means and Meka Games certainly didn’t reinvent the wheel with this title. Yet, they wanted to make it as fun as possible. You can kill zombies with normal handguns, rocket launchers, machine guns attached to ATVs, flamethrowers, chainsaws, and more. Even dogs can get in on the zed-killing fun. If that wasn’t enough, you can get inside helicopters and just shoot to the ground below and pick swarms off in quick succession. There are various game modes to play in Zombie Killing Simulator, as well. On top of this, you can create things to help you survive, including your own home and security system for that home. Seriously, Meka Games thought of everything and just wanted to make a fun title. We think, as far as Zombie video games are concerned, they succeeded. Zombie Killing Simulator is expected to be out on February 12, 2019. Pandemic Express is yet another upcoming zombie game of 2019 to keep an eye on. What makes it stand out over others is its attempt to be a bit different while also giving into all of the classic zombie tropes. It looks like tinyBuild has managed to make this one of the better co-op experiences, allowing up to 30 players to spawn in its insanely large world. The zombie hordes are out to get you, for real. This is not a dream. They are coming, and it is seemingly endless. That means every weapon helps and every bullet counts. Use them wisely, or you’ll have wished you did. The art of the game looks quite unique, as well, so it’s standing out in a couple different ways. The game is currently slated to release later this month on February 22, 2019. 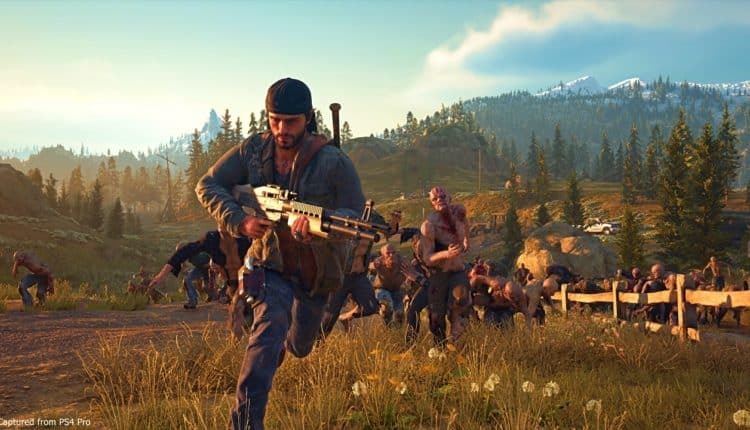 Likely one of the biggest PS4 exclusive games coming out this year is Days Gone, and it’s one of our MOST anticipated upcoming games of 2019. One of the biggest things Days Gone offers is its open world and real stakes scenarios with impressive, mega-size zombie hordes on screen at once. When you fall, it matters. When you jump, it matters. Everything you do truly affects the Deacon St. John, the game’s protagonist. 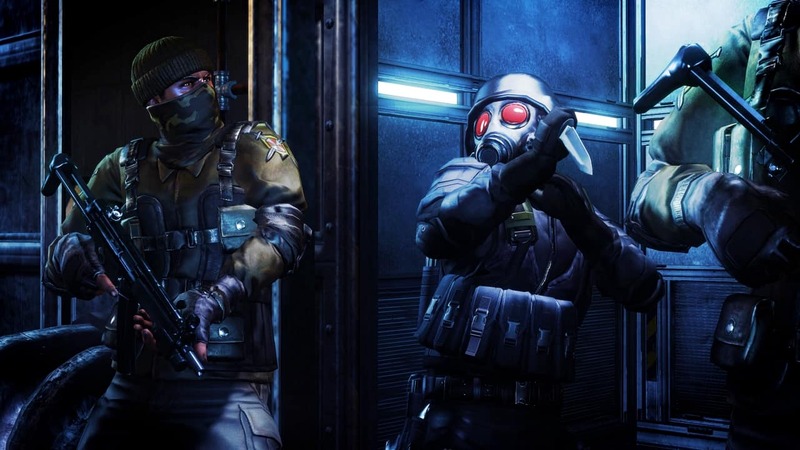 It’s a survival game at its core and deals with real-world consequences, but it doesn’t appear to veer away from the fun. One of the things made very clear with this title was that it would not just be heading down the same old zombie track others used. This made it respected by various gamers, as we’re all tired of the same old type of zombie game (some of us, anyway). Sony has also managed to absolutely kill it in recent years with their first-party games. Even surprises like Horizon Zero Dawn made the PS4 THE console to play on for exclusives. 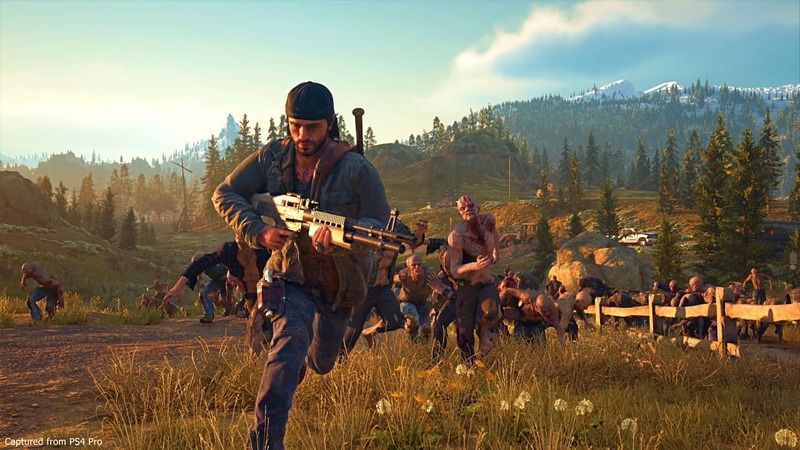 Days Gone appears to be yet another of those titles. With all the hype behind it and various video game conferences happening near its release, it’ll likely do very well. It’s interesting what Days Gone chooses to highlight and what tropes it chooses to ignore. Sure, the game is about survival, not technically zombies. The world you live in might be open, but its dark and dangerous. It’s what some would call post-apocalyptic, making everywhere you go a harsh and unforgiving landscape (which is what made The Walking Dead TV show so popular in its earlier seasons). 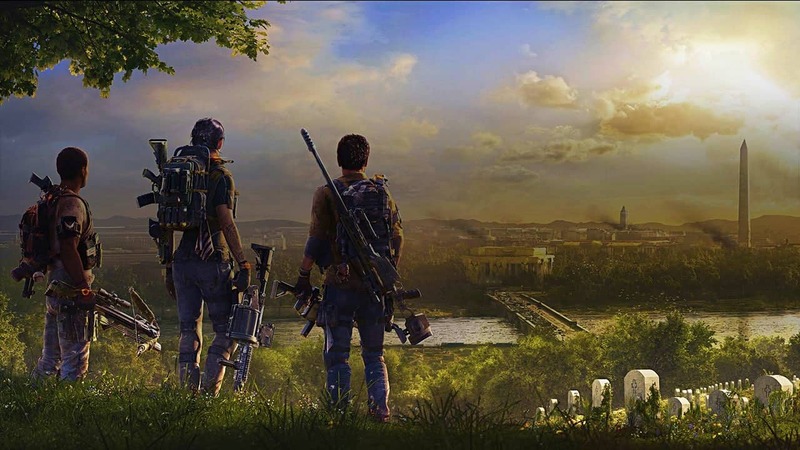 At the heart of the game lies a world that has people acting like you’d expect people would during an apocalypse, and it’s another element you’ll have to factor in to your in-game decision making. The hope is to survive but depression and an unwillingness to live for many is hard to overcome. Hope is hard to have, and love is even harder. Can the hope or love truly exist in a world that is built to literally be a black hole to kill both? Days Gone chooses to tell us that story. It was set to come out in 2018, but it was held back for a few reasons. The competition was heavy in its normal slot, but changes also needed to happen in the game to fix nagging bugs. Sony rarely publishes a title under their name that is anything but perfect at launch. With that said, if the game turns out like we’re expecting it to, its delay to April 2019 will have been worth it. 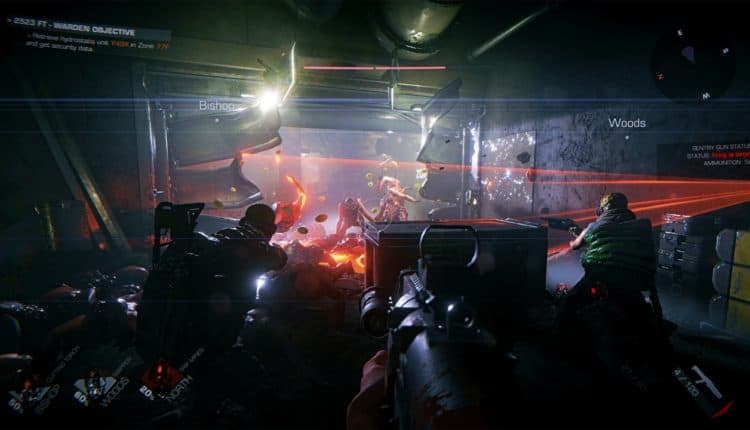 Built on an ominous Spring 2019 release date, Brilliant Game Studios knew they could woo video game fans with sheer beauty and amazing-looking work in The Black Masses. The title is expected to hit Steam for PC gamers, which allows the devs to go insane with content. With normal games regarding zombies, you expect to see a lot of them. However, what do you normally expect available in the world to go after at one time? Usually, 20 to 100 is the limit. What if we told you that Brilliant decided to go much..MUCH bigger? The developer made it possible for 10,000 zombies to be affected during one set. They made what Brilliant calls a brand new “accelerated dismemberment and procedural wounding system.” What does that mean? We’re happy you asked! Basically, it means that they have developed a way to cut off the limbs of the zombies to such a scale that a surgeon in real-life may not do things better. Seriously, they made it so that you could cut an arm off at any point and into as many pieces as you choose. It’s more common to see an arm cut off at the shoulder or maybe a hand. However, beginning a cut mid-forearm for instance? Most zombie video games would bow to that type of perfection. Overall, it’s built to house at least 6,000 NPCs and over at a time on screen. It truly makes a hoard or swarm of zombies more impactful than a normal zombie slaying game. This may be only possible for PC gamers, so a console release may be tough to do in the future, even with the updated consoles. The Black Masses is expected at some point in Spring 2019. 10 Chambers Collective shocked the world with the trailer for GTFO during The Game Awards in 2017. The Sweetish studio describes it as a game affected by the same thing that really took out the dinosaurs. They claim the Chicxulub crater was the reason for this mass extinction. That crater led scientists to go down and check it out. However, when they arrived to gather samples, a surprise was awaiting them! This new breed of creature is now released and on the loose. How will the world cope? Someone needs to go down to this underground world and kill whatever it is before we have to find out. This is your job as a player. You play as one of four scavengers that are seemingly forced to explore this weird underground world as you search for artifacts that could be extremely valuable. A ton of monstrous, zombie-like creatures are there, and you as well as the others have to stay alive. Not only do you need to in order to stay alive, but to also keep the world safe from these monsters heading out. This is not going to be an easy situation, so you need to find weapons, tools, and resources to remain alive. Survival is the name of the game in GTFO, and you cannot die, as every death could affect your team as a whole. Not only do you need to make sure no one gets out other than your group, but you also have to find answers about what happened here. It’s likely you won’t like what you find. As the name suggests, you’ll certainly want to get the f*** out!! This first-person shooter comes out this Spring for Steam. It looks amazing, mysterious, and quite entertaining based on early gameplay. It’ll be interesting to see how zombie video games with stories like this will be viewed by players. Dying Light 2 is the highly anticipated sequel to the original Dying Light game. Fans of the original game were floored when the announcement trailer for the game came out a year ago. No one really knew when it was set to come out, or even if it was going to happen at all. Not much is known about the plot of the game, but we do know some of the gameplay mechanics have changed from the original. Narrative Designer for Dying Light 2, Chris Avellone, announced the game would be coming in 2019 at E3 in 2018, with a trailer coming right around that time. The developers focused on a new “choice-based mechanics” system. This is highly expanded from the first, where every choice you make will matter massively. This also allows players to carve a very unique path compared to their friends who play it. Seriously, with all of the choices available, there could be dozens of experiences that differ from player to player — and that’s probably what’s most exciting about Dying Light 2. It’s one of our most anticipated zombie games of the year. The World War Z game is based on the polarizing movie (based on a book) of the same name, of course, and despite the movie sequel’s recent cancelation, the game is still coming. It is set to be a slightly different story. However, most of the same rules will apply in this game as they were designed in the film. The concept is that there is a virus causing people to turn into these insane, bloodthirsty zombies. What virus is making them do this is not known for some time. However, there is a possible cure or maybe even a possible vaccination. You must survive to find out, and that won’t be easy. The game is going to be including a heck of a lot, but it lucked out slightly. Budgets for video games are often able to be kept lower than that of a movie. 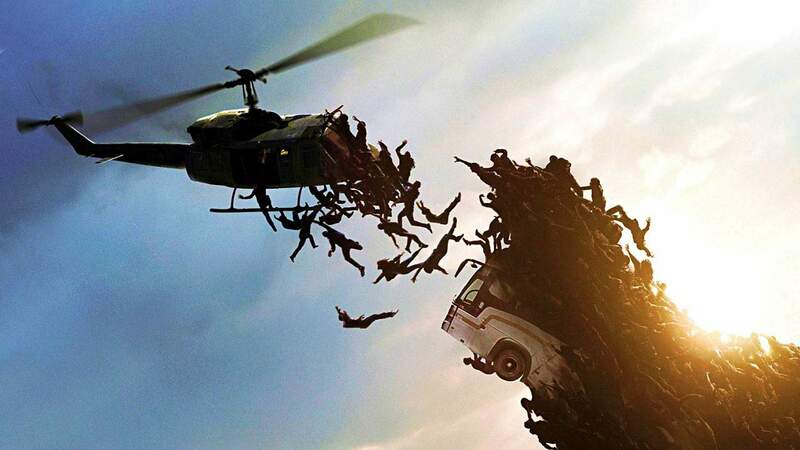 The big swarm of zombies that climb on top of each other to hop the wall was unique and absolutely amazing, but it likely cost a few million to make. The video game brings this same zombie wall, clearly for a lot cheaper. This game offers more than we ever thought for a normal movie-inspired video game. The question is, can it impress as much as the original movie did? We’ll find out later this year when the game releases. Daymare 1998 is a puzzling game, to say the least. Imagine the world in the nostalgia that is the late 1990s, then add zombies to it. This, in essence, gives you Daymare 1998. Developed by Invader Studios, this game is trying something brand new compared to zombie video games we’ve seen before. However, they decided to use the past to make this a reality. That means all the stuff we see in the game will be, at least mostly, inspired by ’90s material. The studio calls the game a horror survival game due to Daymare 1998 being more about their storyline than just being another zombie shoot ’em up. The use of the Unreal Engine has made the game’s appearance, as well as the overall game, look impressive. When the first trailer dropped, the reception was quite positive. Invader Studios have touted it’s over 1 million views on YouTube alone. You follow three different characters all set within the same story, sort of like Detroit: Become Human. Everyone has their own perspective on what’s happening in the story. You’ll follow the path of an elite soldier, a helicopter pilot, and a forest ranger. Resources are scarce, and you must survive. You’ll have to make real-world decisions like offering supplies or food to others over yourself or keeping them. The world is deadly, and you have to watch your back at all times. Former neighbors have become bloodthirsty zombies and you need to find out why. However, you cannot take your eye off of anyone at any time. Always keep your head on a swivel, because if you don’t, it can easily be bitten off before you know it. This is Daymare 1998 in a nutshell. What happened and what can you do to fix it? Find out through the eyes of the 3 main characters and handle it fast! The developers claim “anything can happen when your daymares become real.” That is not ominous at all, right? Expect the game to drop in the Fall of 2019. 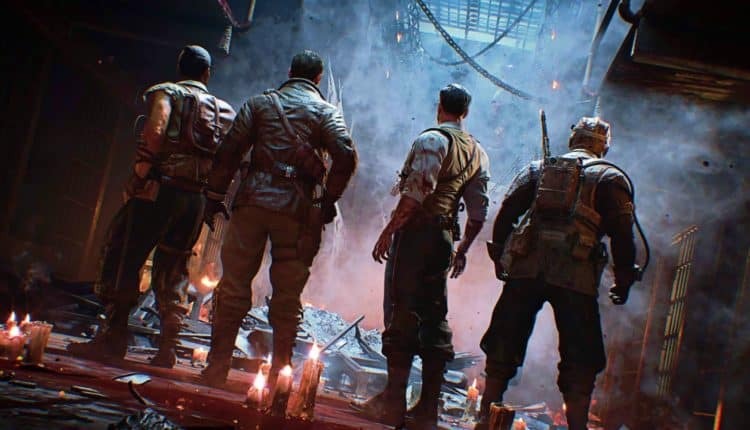 One of the most beloved-things about every Call of Duty game that has released over the past few years is their multiplayer-driven Zombies mode. It’s a progressive system that only gets harder as you go along. Although we don’t officially know anything surrounding Call of Duty 2019’s release, there’s plenty of speculation that it’s going to a Modern Warfare 4 redux. This is interesting because the first Call of Duty Zombies Mode came after MW4 was released. And when you factor in how Apex Legends might affect Call of Duty’s battle royale mode this year, we have to imagine that Infinity Ward is going to look to shift focus to another mode. This leaves a big opportunity for Infinity Ward to create something entirely new and something that feels more like a big part of the game instead of just an add-on. The next title in the series is expected to be heading to all consoles in the Fall of 2019 as usual, I’m sure. The question is, will they give in and give fans the expanded zombie video game they have requested for years? When Hold Out was initially revealed, it did not really seem that thrilling. We didn’t know much, and still don’t if we’re being honest. However, every reveal that has come out since has made the game sound a bit more impressive. Though from the small bit we’ve seen, it may look good, but it does not seem special. There doesn’t seem to be any unique hook or gimmick going on with Hold Out — at least that we know about yet. But we’re okay with getting just another walker-killing game. It’s a co-op game for up to 4 players, but you can also play it alone. The interestingly named Open Brain Studios heads up the project and claims you’ll be guided to kill zombies all over various settings. Whether that’s abandoned buildings, eerie forests, tainted farmlands, or deserted city alleyways. You have to scramble at all times to scavenge for the tools you need to survive, all while keeping yourself alive. You’ll be able to fortify different homes you’re in by boarding up windows and much more. The question for most, still, is what the appeal here is compared to others? It’s hard to say because Hold Out is not trying to do anything crazy here. Still, it’s another zombie game on the way, and we’ll continue to follow its development. Beyond Death is a gorgeous-looking open world zombie survival game that has some real passion project vibes to it. 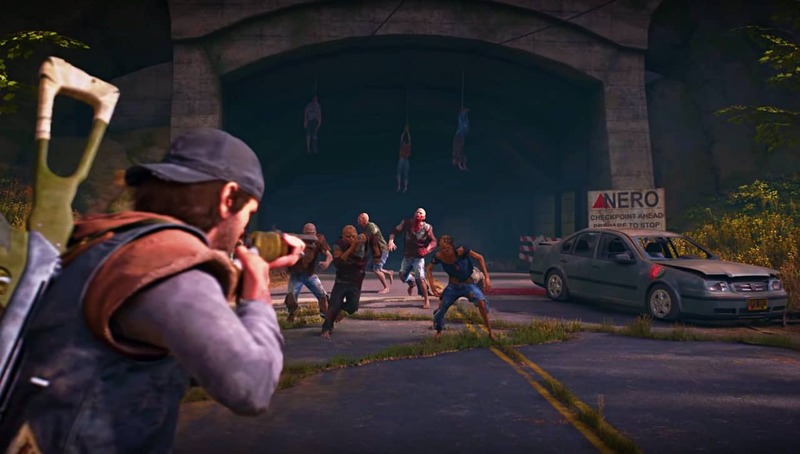 On the surface, it looks like any other zombie survival PC game like Day Z, but that is mostly in just its gameplay and some of the mechanics. But, it has a unique and outright impressive farming system that is likely the best of any survival game we’ve seen. You can truly live off the grid and bring power to a darkened world using solar energy panels that you can add to homes or bases. Obviously, this is still a zombie video game; the name of the game is survival, but you also have to do it in a world of crazed, brain-eating parasites. It has real-world weather and a day/night cycle system as well. Yes, rain will come as will tornadoes and floods. The graphics pick all of this up very well from what we’ve seen. The devs have even gone the extra step of making mud and puddles react realistically. This is some of the best-looking wildlife we’ve seen in video games too. Wolves will be on the prowl and don’t mind attacking you or other animals. Chickens, horses, deer, and so many other animals will be part of the game, some of which you’ll have to kill if you want a hot meal in-game. This is vastly important because every single decision you make will matter. This makes Beyond Death a game that you could put several hours into without ever getting bored. Zombie video games typically have a shelf life, and Beyond Death is trying its hardest to extend that shelf life. There’s no way we’ll see this game in 2019, and we’ll likely hear more about its release soon. Dead Island 2 has landed in controversy since its debut way back at E3 in 2014. One of the primary reasons for this is that it has been delayed and delayed and delayed some more. Yet each year, one promise made after another, it has yet to be released at some point, right? RIGHT?!? Dead Island was a big hit in 2011, but it’s not like this game was so massive that it was beating out the yearly Madden releases or anything close to that. What it managed to do was become a success in a world where games like it were not selling as well as it did. That said, only Resident Evil was truly killing it in zombie video games. There were a couple of other titles in the series like Dead Island: Riptide and Escape from Dead Island — both of which were ultimately floptastic. But Dead Island 2 has been in development hell for far too long that we’re at the point now where we’ve forgotten about the franchise’s missteps. It was originally being developed by Yager Development until Sumo Digital took over developing the game in March of 2016. Then, they were kicked off the project by December of 2018 when DamBuster Studios was tasked with finishing up the game. It is possible Deep Silver used so many developers due to wanting the release of Dead Island 2 to happen sooner. However, we’re still waiting to see if DamBuster Studios can finish things out for a 2019 release. 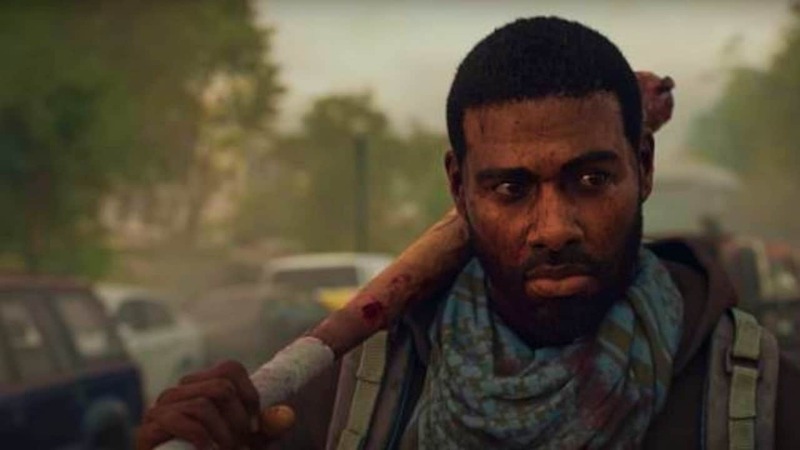 And because of the many developer switches, it’s far too likely that Dead Island 2 will be a mere fraction of the type of game we saw in its debut trailer nearly five years ago. Overkill, the people behind the newest Walking Dead game, originally made the game available for PC. Then, we were set to get a console release for PS4 and Xbox One at some point this month. However, it looks like things were delayed on the release, with not even a new release window in sight. Things aren’t looking good for the console release, as critics have taken a Negan bat to this game’s skull, with IGN and Eurogamer (who called it a limp Left 4 Dead-a-like) offering a little over a 5.0 out of 10.0 for their rating of the game on PC. This very well could be a problem for the console release, as the Steam version had too many issues and was properly flogged for it. A major problem is who you’re paired with online, and how many decide to be the same character. But, the real issue for Overkill was critical issues of it being “unpolished.” That and other issues cannot be taken to console. 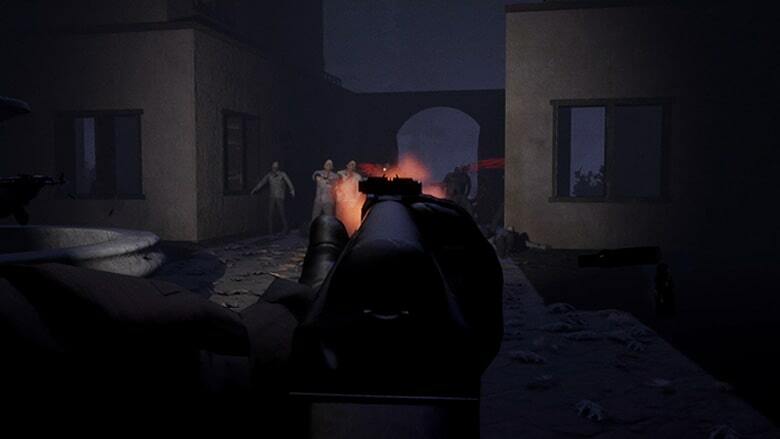 It’s a first-person shooter that does not mind being a “shoot ’em up” like many other zombie games. However, it’s made to be more story-driven rather than just a kill every zombie type of game. While we cannot hate on the game because of its sheer beauty, we can understand its delay to console. Obviously, one of the most popular zombie games of all time is the original Last of Us video game. Part II has a much heavier focus on the now grown-up Ellie and less to do with the now much older Joe. 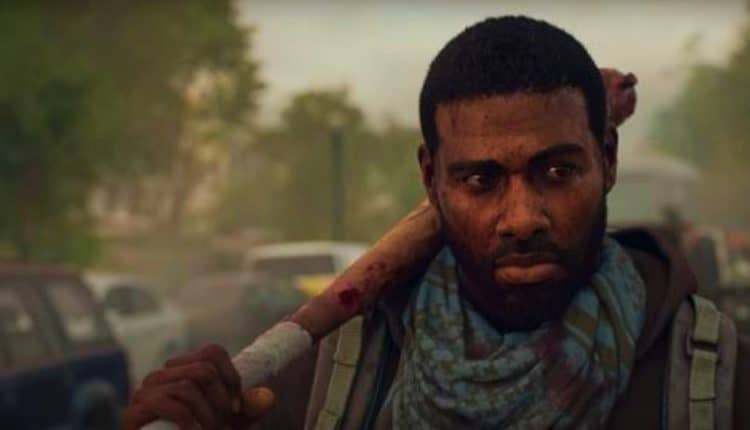 Veteran voice actor Troy Baker has returned to voice the beloved Joe, with Ashley Johnson also returning to voice Ellie. 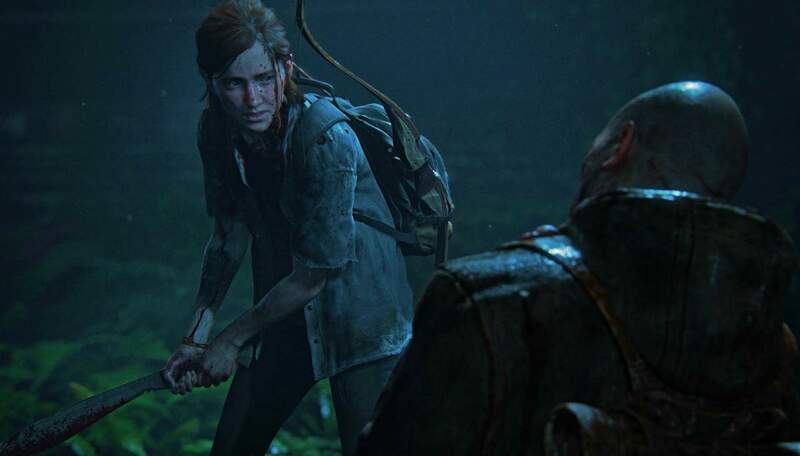 We were first told of a new Last of Us video game back in 2017, with absolutely brutal gameplay that came at E3 2018. Since the focus is more on Ellie, the one who is the key to the cure to solve the zombie outbreak, it has more to do with her overall life. Her friends, her love life, and much more are on front-street in the game. This is her story more than Joe’s. It is set five years into the future. Since the story will focus on Ellie, it is widely assumed Joe will die in the game to end his run in the series. It is, of course, uncertain that a third installment will be happening, yet if the game sells insanely well as predicted, this wouldn’t shock anyone. Here’s to hoping TLoU 2 lives up to its predecessor. Hideo Kojima’s Death Stranding is quite a crazy game from what we’ve seen thus far. The game was announced by him, with a small sneak peek given to us in 2016. It was originally going to be a Silent Hill game, but Konami put a stop to that. This led to a change in direction, as well as his ultimate change to Death Stranding, an entirely new property. The same actors connected to Silent Hill stuck around for Death Stranding. This included The Walking Dead star Norman Reedus, as well as Lea Seydoux, Lindsey Wagner, Tommie Earl Jenkins, and even veteran actor Mads Mikkelsen. There is still so very little known about Death Stranding, and every new bit of footage we’re given is just another mindfuck. However, the last time we saw gameplay, it did show a great deal of weird material. This included strange monsters and untraditional zombie-like figures. Post-apocalyptic video game The Division was a pretty big hit a few years ago. This had to do with its gameplay as well as the very compelling ideas compared to others. The Division 2 was announced back in 2017. The real question for some is, why would anyone call this a zombie game? As mentioned, it’s a bit untraditional compared to the normal zombie video games we’re used to. However, it fits due to the issues people face. Sicknesses and nearly being mind-controlled are common with this series. That leaves the people of the special forces group, the Division, to sort of handle this as best they can in the quarantined area. These sicknesses mess with the brain and can make someone a zombie in an untraditional way. The second installment will more so deal with desperate people who will do desperate things. It’s still set to deal with various problems people could face in a post-apocalyptic future. The Division 2 is set to come out this March, and it’s expected to do massive numbers in sales. Joe Burgett has been working in the world of online media for 10 years. He has thousands of articles you can find all over the internet from places like CBR, Screen Rant, ComicsVerse, and several more.